From the Third World Liberation Front to the Undocumented Student Movement, students from marginalized communities have mobilized throughout the U.S. to amplify their collective voice for social and cultural change. As a formerly incarcerated person the following question has guided my work: what role do formerly incarcerated students play in challenging the stigma of incarceration, advocating for policy change and seeking social justice? With this question in mind and the support of faculty and staff, I was part of a group of formerly incarcerated and system impacted students who co-founded the Berkeley Underground Scholars (USI), under the Centers for Educational Equity and Excellence (CE3) at the University of California, Berkeley. 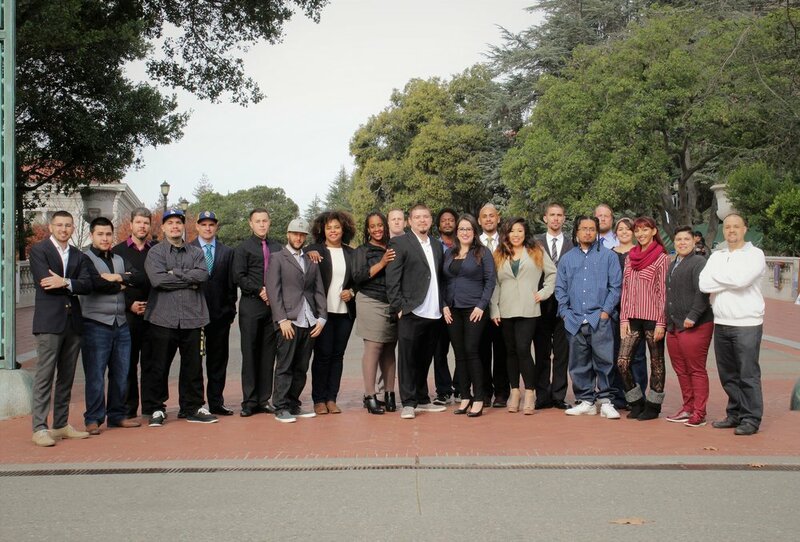 USI is an award-winning student organization and student support program dedicated to serving and empowering formerly incarcerated students at UC Berkeley. Former California State Senator Loni Hancock awarded USI with $500,000 to expand USI to other UC campuses. From its inception, as a student organization USI has challenged the stigma of incarceration by facilitating workshops and classroom presentations. USI has advocated and supported policy change by working on various campaigns, such as Ban the Box, and California’s Proposition 57. Whether it is sharing our personal narrative or advocating for policy change, these are two examples of formerly incarcerated students engaging in social justice. Higher education can empower and transform the lives of formerly incarcerated people by breaking the cycle of recidivism and increasing economic opportunities. It rehabilitates and reintegrates formerly incarcerated people into society, and becomes transformative for their respective families and communities, particularly those disproportionately impacted by crime and incarceration. As a 2016 Soros Justice Advocacy Fellow at The Opportunity Institute, I am organizing formerly incarcerated students who are currently enrolled in colleges and universities in California. To begin this process, I am helping formerly incarcerated students establish student groups on their respective campuses. At the same time, I am working to organize these student groups into a statewide network in order to amplify the voices of formerly incarcerated students. Project Rebound Director, Dr. Brady Heiner receives California Legislature recognition for his work with formerly incarcerated students at Cal State University, Fullerton. Student leaders from California share their narratives from incarceration to higher education at the 2017 Beyond the Bars Conference, Columbia University. Members from the Urban Scholars Union at San Diego City College joined by the V.P. of Student Services, Dean of Student Equity, and First Year Services Coordinator. Professional development day and group photo with students and staff members of the Berkeley Underground Scholars. When formerly incarcerated people re-enter society, they are disempowered both socially and politically. In many cases, it is legally permissible to deny them access to employment, housing, and social services. Lacking these resources exacerbates the economic and social effects of their incarceration, and it is a reminder of their second-class citizenship status. The social and legal barriers are central contributing factors to California’s high recidivism rate. Access to higher education, however, can mitigate the barriers that they will encounter throughout their lives. In addition, organizing their own student group provides leadership experience and empowers students with the knowledge that will help them face challenges down the road. My goal is to help create a network of formerly incarcerated students who have successfully made the transition from incarceration into higher education. Through this network, we will strengthen, empower, build the leadership, and establish a presence of formerly incarcerated students on their respective campuses and in society at large. People who are currently and formerly incarcerated have the right to speak and be heard in their own voices, to transform their lives and communities, and to participate in all aspects of society. Members of this network will take a leading role in recruiting, retaining, and advocating on behalf of formerly incarcerated students in California’s colleges and universities. Through the development of a statewide network, formerly incarcerated students will amplify their voices to advocate and implement an equitable system of higher education for all.